Barbara Ann Woronko (fourth from right) with Frank Sinatra, hotel owner Ben Novack (sixth from left) and fellow Miss USA contestants at Miami’s Fontainebleau Hotel in 1967.
was one of ten girls invited to stay at the Fontainebleau Hotel in Miami Beach to prepare for the Miss USA pageant. It was 1967, and I was Miss Pennsylvania. And that’s exactly what he did. We were on the roof of the hotel, sipping champagne and looking at the sites, all of Miami. And then we went down to a ballroom, and they started taking all these publicity shots, and Frank Sinatra asked me and Miss Florida to stand next to him. 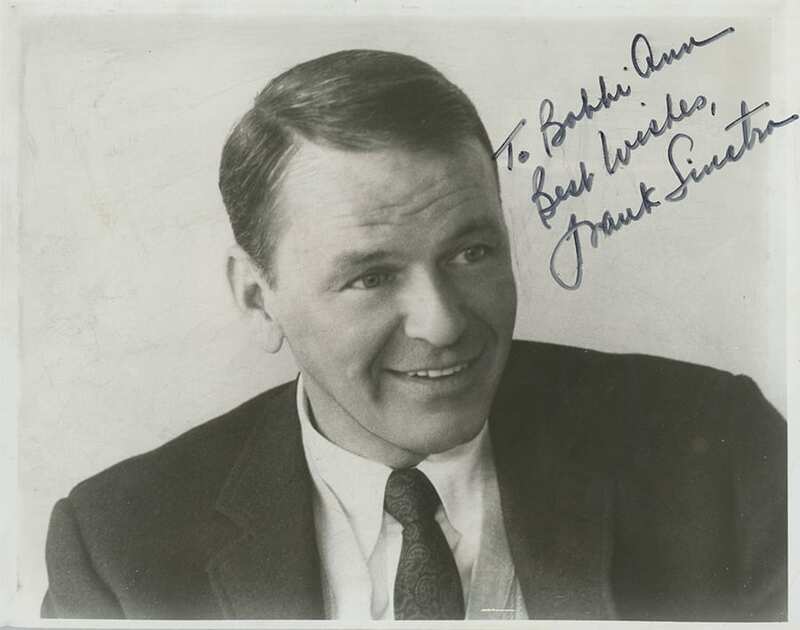 Not long after, I read a piece in the newspaper that Frank Sinatra was ill and staying at the Fontainebleau Hotel. So, I sent him flowers and thanked him. And he wrote back. 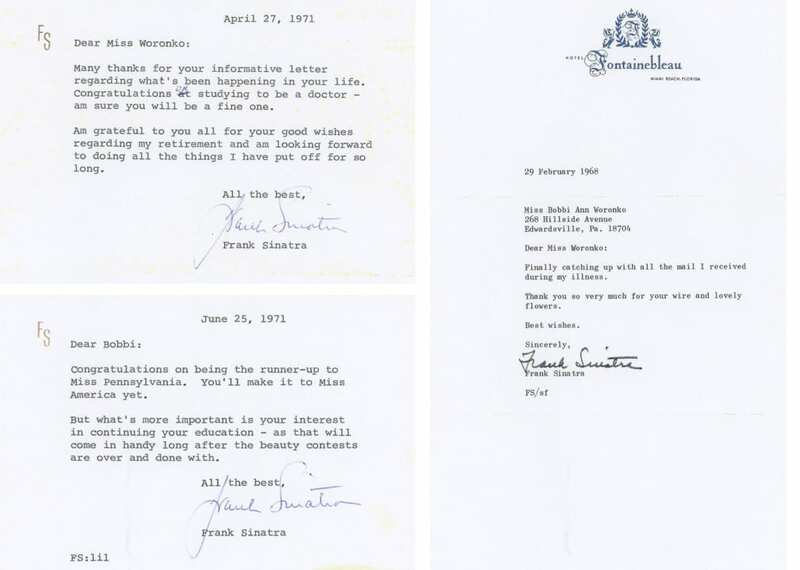 And then I would get letters from him periodically (below), asking me about my career, and what I was doing. The last note I sent him was to tell him I was going to Radio City … to audition for the Rockettes. Barbara Ann Woronko Anzalone was a Rockette in 1974 and is the author of The Girl Next Door. She lives in Shavertown, Pa.
All images courtesy of Barbara Ann Woronko Anzalone.